Bayer Biopharmaceutical: Italy. Most companies use less than 1% of the data they generate. Bayer makes the most of its data, leading to a 25% drop in maintenance costs and while gaining 30-40% in operational efficiency. Bosch Automotive: China. Bosch uses data analytics to deeply understand and eliminate output losses, simulate and optimize process settings, and predict machine interruptions before they occur. Haier: China. Use of AI facilitates a “user-centric mass customization model” with electronic products made on-demand. Maintenance needs are predicted before incurring downtime via AI. Johnson & Johnson: Ireland. This hip and knee joint factory implements IoT, leading to a 10% reduction in operating costs and 5% drop in machine downtime. Phoenix Contact: Germany. The electronics manufacturer relies heavily on customer-specific clones to cut production time for repairs or replacements by 30%. P&G: Czech Republic. Production lines, in a plant built in 1875, seamlessly change the product being manufactured with a push of a button, an innovation that reduced costs by 20% and upped output by 160%! Schneider Electric: France. Sharing of best practices across its multinational force allows each site to reap the benefits of the others, saving 10% on energy and 30% on maintenance. Siemens: China. Leveraging augmented reality to create 3D simulations, Siemens has optimized its production lines with reduced cycle time and 300% jump in output. Fast Radius: U.S. 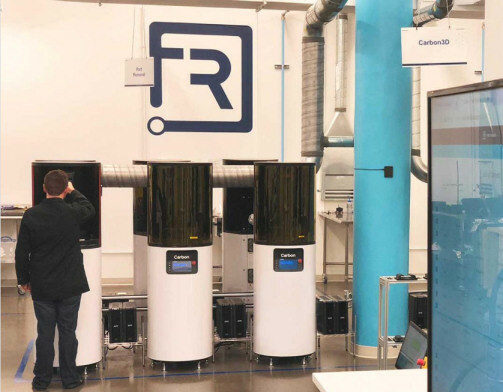 The lone U.S. company uses real-time analytics and globally positioned distribution 3D printing farms to maintain rapid turnaround times to deliver prototypes and custom parts.